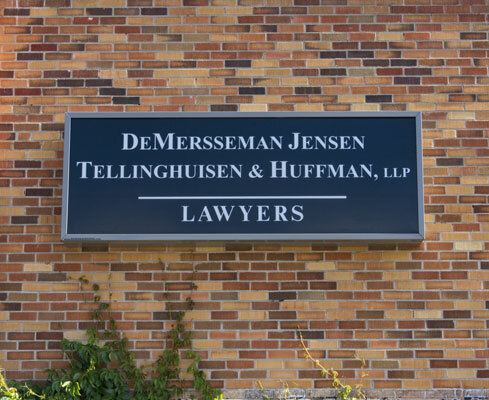 DeMersseman Jensen Tellinghuisen & Huffman, LLP, is a long-standing western South Dakota law firm that has built its reputation primarily through word-of-mouth. Since our firm's founding in the early 1950s, we have helped generations of clients through uniquely challenging legal issues. Our clients come to us for legal representation, but many cases require something more. A divorce case may require an understanding of property valuation. A criminal defense case may demand a thoughtful analysis of police procedure. A lawyer does not gain these skills by simply studying legal statutes. It is through varied life experience and investigation. We take pride in the unique skills and perspectives each of our attorneys brings to our firm. Our collaborative work ethic and the candid discussions we have with our clients helps us seek solutions that are often overlooked by less experienced attorneys or solo practitioners. Our firm has career experience in the private sector, criminal justice system, public policy and in industry-specific issues throughout South Dakota and nationally. If you have a legal challenge that involves your family, your freedom or your success as a business owner, we can help. We will work with you personally to help you understand the legal process and what options are available as we move forward. We at DeMersseman Jensen Tellinghuisen & Huffman know that finding the right attorney to represent you is a choice not to be taken lightly. That’s why we offer free consultations to walk you through your needs, the scope of your goals, and your budget. Michael DeMersseman was born in New Underwood, South Dakota. With the exception of time away to pursue his education and work on construction of the missile bases, he has spent his life in the Black Hills. He received his Bachelor's degree from the College of St. Thomas, St Paul, MN in 1964, and his Juris Doctor from the University of South Dakota in 1967. Mr. DeMersseman practices in business, environmental and personal injury law and maintains involvement in Governmental relations and lobbying. Being a father of three daughters and numerous grandchildren, he is a patient and intuitive litigator and has an innate ability to bring disparate parties together. Mr. Jensen practices in the areas of real estate, banking, commercial transactions, wills, estate planning, and business organizations. He currently serves on the Business Law Committee of the South Dakota Bar Association. Mr. Jensen is listed in The Best Lawyers in America, Chambers' USA America's Leading Lawyers for Business, and Super Lawyers 2009-11, and formerly acted as legal counsel to the South Dakota Banking Commission. Mr. Jensen's experience extends across a broad range of business and commercial transactions, including business and real estate sales and business acquisitions, commercial lending, and business organizations. He represents a number of local businesses and financial institutions and frequently advises those clients with regard to their commercial, corporate, and business planning. Mr. Jensen has a Martindale Hubbell rating AV. Roger Tellinghuisen graduated from Black Hills State University with a degree in Business Administration in 1975 and obtained his juris doctorate from the University of South Dakota in 1978. Following graduation from law school, Roger joined the firm of Amundson and Fuller in Lead, South Dakota where he was engaged in private practice. In 1981, he left private practice to join the Lawrence County States Attorney's Office where he prosecuted felony and misdemeanor cases. In 1982, Roger was appointed the first full-time states attorney for Lawrence County where he was the chief legal counsel and criminal lawyer for the county providing legal counsel to the Board of County Commissioners, Planning and Zoning Commission and the other county offices. In 1986, he was elected in a statewide election to the office of Attorney General for the State of South Dakota. As the Attorney General, he was the chief lawyer and law enforcement officer for the State of South Dakota. His duties as Attorney General included providing legal counsel to the Governor, constitutional officers, and various boards and commissions. He was responsible for overseeing five legal divisions staffed by 23 attorneys. Following his service as Attorney General, Roger returned to private practice in 1991with an emphasis in civil litigation, business law; real estate law, gaming law and lobbying. Roger recently joined the DeMersseman, Jensen, Tellinghuisen & Huffman, LLP law firm as a partner in 2011. He is a member of the United States Supreme Court Bar (where he argued South Dakota v. Elizabeth Dole, 107 S. Ct. 2793 (1987)), the United States Court of Appeals, Eighth Circuit, United States District Court and South Dakota Bar Association. He holds the highest peer review rating awarded by Martindale-Hubble Law Directory (AV ). Representative lobbying clients include: South Dakota Trial Lawyers Assoc. ; Deadwood Gaming Assoc. ; South Dakota County Officials Assoc. ; South Dakota County Commissioners Association; College of American Pathologists; TracFone, Inc.; Deadwood Table Games, LLC; Aflac; and Liv Hospitality. Roger is a member of the South Dakota Trial Lawyers Association and served as its president for the 2011- 2012 term. He was a member of the Black Hills State University Foundation for 23 years, serving as its president for 17 of those years; he is a past president and board member of the Spearfish Chamber of Commerce and on numerous other boards and commissions. He has received numerous honors including being named a Great Plains Super Lawyer 2012 thru 2016; "125 Accomplished Alumni Award", Black Hills State University, 2008; a "Special Achievement Award" from Black Hills State University in 1990; South Dakota "Centennial Alumnus Award" in 1988; and the Outstanding Alumnus Award- Division of Business, Black Hills State University in 1988. Rich grew up in Aberdeen, South Dakota as the older child of an entrepreneurial family, and at a young age he had a rare coin business and did various contract jobs for the family business. Rich got his undergraduate B.S. degree in Business Administration at University of South Dakota in 1969 and went on to attend law school, graduating in 1972. Upon passing the bar exam he moved to Rapid City to begin his legal career, where he immediately went to work with John Vucurevich in one of his United National Bank branches. His business leaning and a chance to practice law allowed him move into private practice as an associate of the late Franklyn J. Wallahan where he tired cases for 6 years and started growing his business practice. He prospered to the point where he had to hire an associate and in 1984 both he and his associate joined Banks & Johnson and he practiced there until 1991 where they reorganized as Johnson Huffman, P.C. 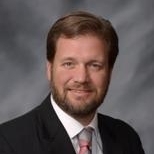 In 2002 he joined DeMersseman Jensen where he has been responsible for most of the office management and continued serving his business clients. For the last 40 years he has concentrated his practice on commercial and real estate sales, purchases, land development and ancillary matters in addition to an active business/corporate and municipal law practice. He was selected to Super Lawyers in 2011 and was named a top rated real estate attorney in Rapid City in 2015. This year he was again chosen, for the 21st straight year, to be in Best Lawyers in America and for the 23rd edition Rich is listed in the practice areas of Corporate Law, Litigation-Real Estate, Real Estate Law and Trusts and Estates. Rich has enjoyed for over 30 years a Martindale-Hubbell rating of AV Lawyer and is also listed in Great Plains Super Lawyers for real estate. Always believing in community service he remains active in multiple community organizations serving on such diverse boards and the Black Hills Dance Theater, DARB, Arrowhead Country Club and the Rapid City Fine Arts Council. He was a founding member of the Rushmore Rotary Club in 1980 and in 1981 was the youngest member ever appointed to the RC Civic Center Board of Directors serving two 3 year terms and was the Chairman when the Civic Center Hotel was put to a public vote. He has served as the Chairman of the Board of Trustees for Arrowhead Country Club nearly every year after serving as its President in 1991-2. In 2013 he successfully undertook the representation of a client dealing with the IRS and their Voluntary Offshore Disclosure Initiative although it was a learning experience and no one in this trade area had ever been involved in one and he achieved a successful result in a reasonable amount of time. His primary focus however is real estate transactions of all kinds and represents buyers, sellers, developers and investors at every stage of the transaction. He has a South Dakota real estate brokers license and handles acquisition transaction for good clients. He estimates that he has participated in over $250,000,000 of transactions over the years. When General Growth Properties owned both the Empire Mall in Sioux Falls and the Rushmore Mall in Rapid City he handled all of their local matters and succeeded in getting a six-figure sales and use tax refund at the administrative level. Mike is admitted to practice in all courts in the State of South Dakota, United States District Court, United States Eighth Circuit Court of Appeals, and a number of tribal courts in South Dakota. Mike practices primarily in the area of civil litigation, representing clients in lawsuits involving contracts, business, construction, real estate, probate, employment and personal injury, both as plaintiffs and defendants, as well as domestic relations cases involving divorce, property division, custody and visitation. In 2004, Mike was appointed Special Assistant Attorney General for the State of South Dakota to prosecute child support enforcement actions in Pennington County. He also practices municipal law, and has been the City Attorney for Summerset, South Dakota since 2010. Greg Sperlich has been with DeMersseman Jensen since 2004. Prior to joining the firm he was the Chief Deputy of Pennington County's State Attorney's Office. Greg is a trial attorney who specializes in criminal law, family law, civil litigation and civil rights litigation. He has tried 102 cases to verdict. He practices in both state and federal court and has appeared before the 8th Circuit Court of Appeals. Greg successfully represented an Air Force Widow against the United of Omaha insurance company for failing to honor an insurance claim. Greg, along with his wife Angela Colbath, received a not guilty verdict for their client Becky Sotherland in federal court on highly publicised charges of assault and civil rights violations. In St. Clair v. Roberts a Meade County jury awarded his client over one-million dollars. While a prosecutor he convicted Kenneth Martin of Murder for shooting an off-duty police officer. Nathan Chicoine is originally from Pierre and is a lifelong South Dakotan. He graduated from the University of South Dakota with a Bachelor of Arts in Philosophy and Psychology and also earned his Juris Doctor from the University of South Dakota School of Law in 2013. Nathan previously served as a law clerk for the Seventh Judicial Circuit of South Dakota. In 2016, Nathan received the Rising Star Award by the South Dakota Defense Lawyers Association. His practice focuses on real estate, business, commercial transactions, and civil litigation. He is licensed to practice law in South Dakota and Nebraska, as well as the Cheyenne River Sioux Tribal Court. He serves on the boards of the State Bar of South Dakota Young Lawyers Section, the Johnson Siding Fire Protection District, his local Homeowners’ Association, and the Rapid City Lion’s Club (Downtown). His wife, Catherine, is also an attorney. Together, they enjoy hiking the Black Hills with their dogs.